UAMB Moms Night out, December 6th. 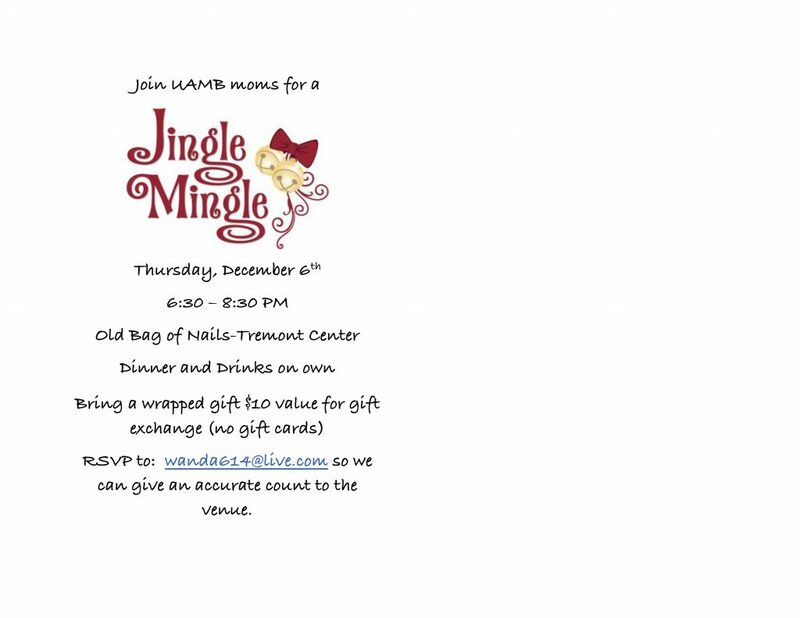 Moms come to Old Bag of Nails, Tremont Center, 6:30-8:30. RSVP to Christine Foulke foulkeachristine@gmail.com. Bring a wrapped gift (value $20) for gift exchange – no gift cards!